Thank you for your overwhelming response for first version. With your inputs we have improved the product even further. We are launching Gujarati version2.0 with new exciting features! This upgrade is absolutely free for existing users! 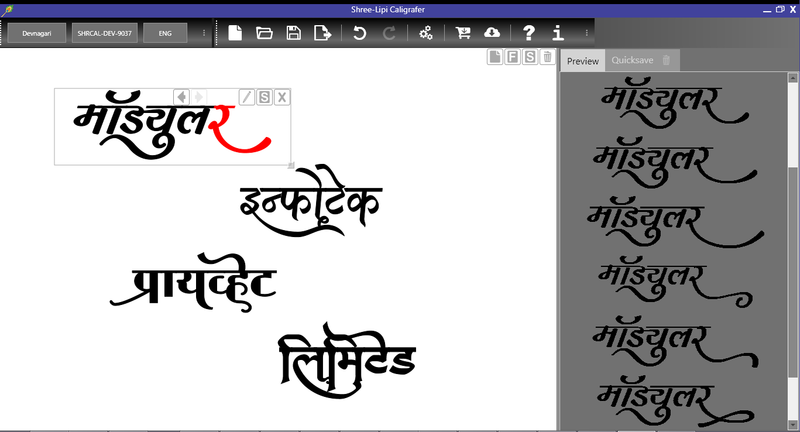 Existing users of Devnagari Shree-Lipi Caligrafer can buy Gujarati Addon Script. Now create objects for each string. Move them around and place them exactly where you want them. Remove them and create new ones. 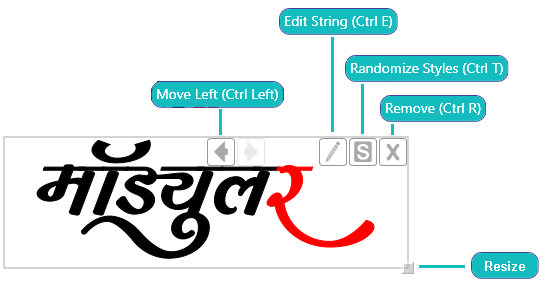 We have introduce Randomize Strings function which gives you Calligraphic text with a single click! Edit string in the objects to speed up correction time. Add, Remove any number of objects as you please. 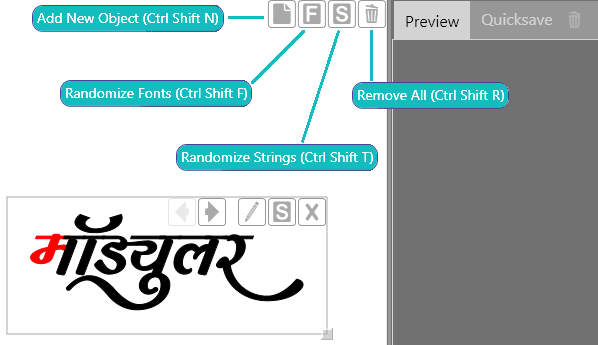 Make use of the new Randomize Fonts and Randomize Strings feature to get new calligraphic text for all canvas objects. You can now Remove All or Remove only single Quicksaved string. We have added more styles for each font. Now use 500+ style variations from any font to create awesome art. Stop wasting your money on low quality Clipart. You can use Calligraphic text for advertisements, flex boards, Banners, Bungalow names, wedding cards. How To Install? How To Use? Visit our YouTube channel to see more videos in full screen.